This low carb white sauce is super easy to make and is the perfect accompaniment to many meat, fish, and vegetable dishes. A keto, gluten free, and LCHF recipe with video tutorial. White sauce, or Bechamel as it is also known, is a classic recipe made from butter, milk and flour. This low carb version is not authentic in the slightest – but it is a great substitute! It has a great mouthfeel and only includes “real” ingredients! No thickeners or anything artificial. I’ve made a video tutorial to show you just how simple it is to make – so watch this or scroll down for the full instructions and printable recipe card. Add cream cheese, heavy cream and water to a saucepan. You can use reduced fat or full fat cream cheese – the reduced fat version will result in a slightly carbier sauce. See the recipe notes below for data and read more about the effect that reduced fat versions have on carb count here. Heat over a low heat until the cream cheese has melted. Place an egg yolk into a small bowl and temper it by adding a small spoonful of the cream mixture into the bowl and mixing well. Then add the egg yolk mixture into the saucepan. Keep cooking for a few minutes until the sauce has thickened, stirring constantly. Add salt and pepper to taste (not shown in the video!!). This sauce is one of the key elements of my Low Carb Lasagna. It could also be used in place of the sauce for my Low Carb Moussaka, or simply poured over meat, fish or vegetables. I particular love it with leeks as a special treat – as part of the onion family, leeks aren’t super low in carbs, but aren’t high for a vegetable either. This sauce complements them perfectly! Add the cream cheese, cream and water to a saucepan and cook over a low heat until the cream cheese has melted. Temper the egg yolk by adding a little of the cream sauce to it, mixing well, then adding the yolk back into the cream mixture. Stir constantly over a low heat for a few minutes until the sauce has thickened. This low carb béchamel is fabulous! I made it for the first time yesterday for a lasagne & was so impressed I made it again tonight to serve over asparagus. Tonight I replaced the water element with white wine & added some Swiss cheese. It’s so rich, creamy & versatile! I’m so pleased! Thanks for letting me know. My daughter is allergic to yeast and yeast extract, and unfortunately, all commercial sauces, gravy, soups etc have yeast extract. In fact it’s almost impossible to get anything without it, so I thought I’d try this sauce over salmon with rice and cauliflower and she loved it. Awesome – I’m so pleased she liked it! Just made this to go with a salmon & veg dinner. Beautifully creamy and DELICIOUS, thank you! I’m so pleased – thanks for letting me know! This looks good – does it freeze? I’ve never tried it but I’m not sure that it would. But if you try it, please let me know! Thank you. Using this for my LCHF moussaka. I’m so glad you enjoyed it, Bel! I grew up with Creamed Eggs on Toast as a comfort food. Having gone Keto to get control of my glucose numbers, I thought that comfort food was out of reach. Then I found your White Sauce recipe and BAM! I had it for lunch. For the toast I used riced cauliflower mixed with the deviled ham. I then made your sauce, added 4 minced hard boiled eggs. Altogether it made 2 servings that my husband and I enjoyed so much. Thank you for this delicious contribution to our Keto recipes!! Thanks, Lisa, I’m so glad you both enjoyed it. It’s one of my favorites! Lisa, can you elaborate on toast made with riced cauliflower and deviled ham? Do you actually mean something like a baked bread, or more like a hash? What is the serving size? 2.2 net carbs per serving. Am I supposed to make it and divide it in 4 containers, then measure (weigh) it? The serving size is a quarter of the whole recipe. Just over a quarter cup per person. This recipe is bomb! In fact, I think it’s better than traditional bechamel. Thanks Alexia! Just the kind of comment I like to receive!! 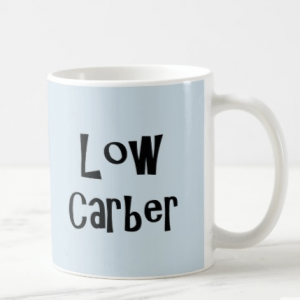 I find most low carb substitutes to be rather appalling in either taste or texture, or both. And nothing like the original. This sauce however, ticks all the boxes. I’ve shared it with more people than I can count and is definitely a regular in my house. I use a lot of your recipes and thought I would take this opportunity to say thanks for all your hard work. It worked out very well- simple, fast & yummy. We added Parmesan cheese & red peppers which gave it a little thickness & kick. Can this go on pizza as “white sauce”? That’s an interesting idea! It might be too thick? But try it – please let me know how it goes! This sauce is beyond wonderful! So, so good. Thank you! If your other recipes are as good as this sauce, I’m sold. Thanks. It’s a quarter of the whole recipe. Very approximately a little over a quarter cup per person. Hi I’m just wondering if you could microwave it? I’ve actually never tried cooking it this way, sorry! If you try it, let me know! This sauce is so amazing! I use a different seasoning than salt and pepper (it’s still keto friendly 🙂 ). I made shrimp the other day and I added a couple of table spoons to the sauce and it was delicious!! Thank you so much for sharing! Can this be made substituting the cream cheese for cheddar? No, I’m afraid I don’t think that would work. Sorry! Want to try. The nutritional info is missing serving size. It’s a quarter of the whole recipe as it serves 4. I don’t have a volume measurement noted down but I’ll get one next time I make the sauce! Oh my goodness this was amazing!! So quick and easy! So many things you can do with this delicious sauce!! Thank you!! Thanks for the recipe! 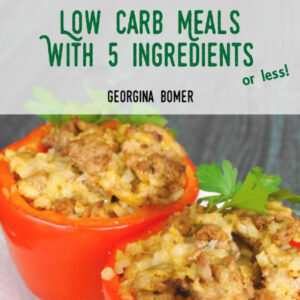 I have just made to use on my low carb lasagna tonight – can’t wait to see how it turns out!